More than any other practice in your career, your ability to manage time will determine your success or failure. It’s a simple equation. The better you use your time, the more you will accomplish, and the greater your rewards will be. This exceptional guide reveals 21 proven time management techniques you can use immediately to gain two or more productive hours every day. 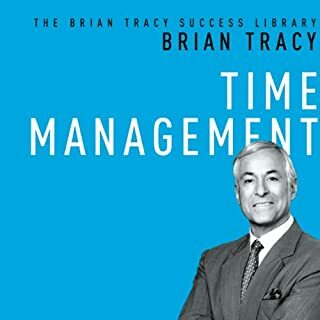 Filled with Brian Tracy’s trademark wisdom, this audiobook will help you get more done, in less time…and with much less stress. Negotiation is an essential element of almost all of our interactions - personally and professionally. It’s part of how we establish relationships, work together, and arrive at solutions for our clients, our organizations, and ourselves. Simply put, those who don’t negotiate well risk falling victim to those who do. Throughout his career, success expert Brian Tracy has negotiated millions of dollars worth of contracts. Now, with this concise guide, you too can become a master negotiator. 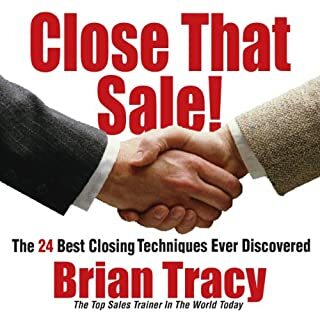 The world's foremost producer of personal development and motivational audio programs offers an expanded version of Brian Tracy's sales classic. I keep falling for the great title. Few people are natural-born leaders. So what is it that transforms a person into the kind of individual who inspires others to follow? Become the person seen as most likely to lead the organization to victory. Great leadership is a skill that can be learned. Packed with proven methods, this indispensable little guide will unlock your leadership potential. The job of the sales manager is to recruit, manage, and motivate a top team of high-performing sales professionals. This audiobook shows you how to do it. 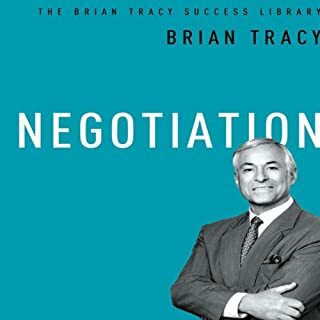 World-renowned sales expert Brian Tracy has spent decades studying what sets the most successful sales managers and professionals apart from the rest - and now, in this guide, he distills these simple but powerful strategies. The success of your business depends on the success of your marketing efforts. If you can identify what customers want, need, and can afford - and give it to them - you will achieve outstanding results.This indispensable guide contains 21 powerful marketing ideas you can use immediately. 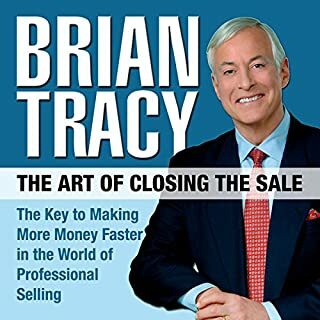 Brian Tracy shares the most important principal for sales success he has discovered in 30 years of training more than 500,000 sales professionals in 23 countries. Based on his detailed discussions with top salespeople and keen observations of their methods, these guidelines address both the inner and outer games of selling. Each chapter is dedicated to one principle, and all are time - and field - tested to boost sales and success. Hiring and firing are hard to get right - and potentially costly to get wrong. Two of the most crucial tasks you face as a manager, they are vital to both the success of the enterprise...and your own career. No need to worry. This handy guide breaks down the simple but powerful strategies you can use to bring better employees onboard - and weed out the weaker ones. Why are some people more successful than others? What gives them their winning edge? 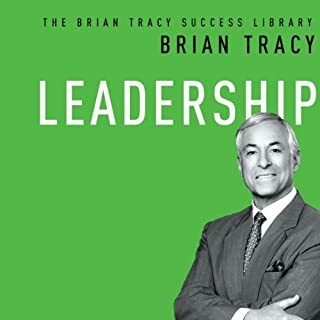 World-renowned performance expert Brian Tracy has spent decades studying uncommonly high achievers, and in this short, inspiring audiobook, he shares what he has learned: Even small adjustments in outlook and behavior can lead to enormous differences in results. One of your most important responsibilities as a manager is to motivate your employees to do their absolute best. Managers who create positive, rewarding, high-energy environments reduce absenteeism and turnover while dramatically increasing productivity and quality. 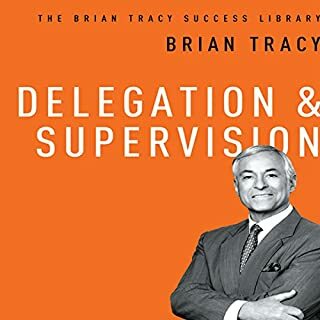 In Motivation, success expert Brian Tracy draws on his decades of experience bringing out the best in others to provide 21 of the fastest, most powerful methods ever discovered for increasing the effectiveness of any individual or group. Meetings don't have to be a waste of time. When managed right, they are a powerful tool for solving problems, making decisions, exchanging ideas - and getting results fast. Based on years of experience in consulting for companies around the world, Brian Tracy has learned firsthand what works in meetings - and what doesn't. Now he reveals simple, proven ideas you can use to make meetings shorter, more effective, and more satisfying to everyone in attendance. The hallmark of any exceptional career is the ability to devise innovative solutions for work challenges. Creative thinking skills are vital for your professional advancement. Setting business strategy enables you to develop absolute clarity on priorities, organize resources, and get better results than ever before. It may sound complicated, but Brian Tracy knows how to make it simple. In this practical audiobook, he shares the most important lessons for strategic planning. The strength of any organization is determined by the quality of its managers. Want to be invaluable to your company? Just boost your management skills. When you discover what the most successful managers know, you'll unlock the secrets to turning even ordinary employees into extraordinary performers. Filled with proven techniques, this guide tells you how to bring out the best in your people - and hit new heights in your own career. awesome book read it and reread it! Eighty percent of all sales are made by just 20 percent of sales people. What’s surprising to discover is that those top professionals perform only a bit better than their peers in certain critical areas. By excelling in these capabilities, you can earn money faster, have more success, and gain greater career satisfaction than you ever thought possible. Packed with proven strategies and priceless insights, this handy little book will help you take your sales game to unprecedented new heights. 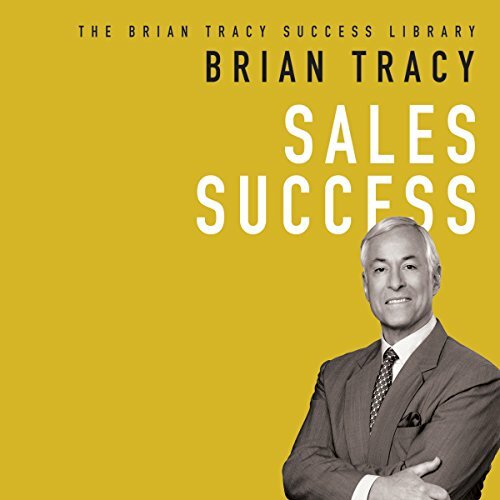 Brian Tracy paints a perfect picture of the successful sales person! And all that encompasses the lifestyle.